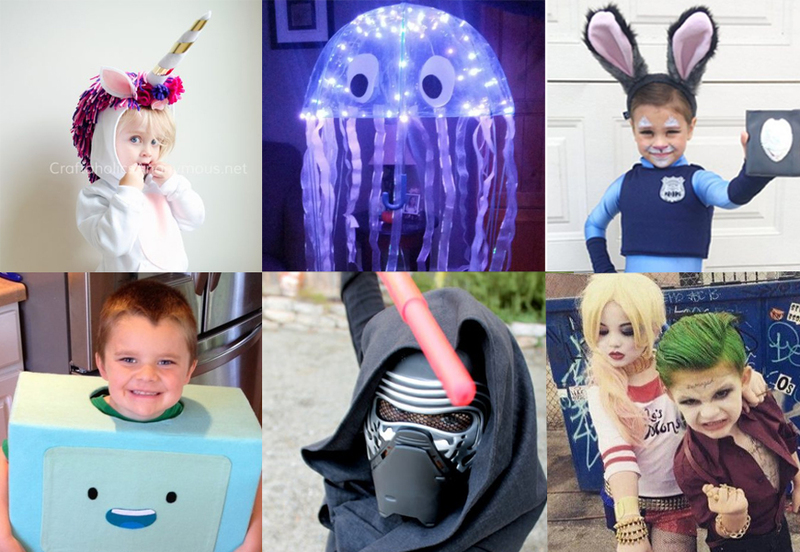 With Halloween only a few weeks away, you’ve probably gotten a lot of costume requests from your kids. There’s been a ton of great movies out lately, from Zootopia to Star Wars: The Force Awakens, which have probably sparked your kids’ imaginations. 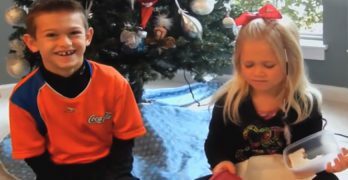 Whether your child is looking to dress up as someone from their favourite film or wants to be something totally unique, there’s an easy way to make it happen. 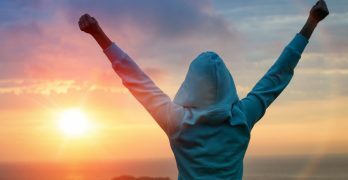 We’ve got six DIY ideas to get you started. Looking for a costume that’s warm, comfortable, and absolutely adorable? 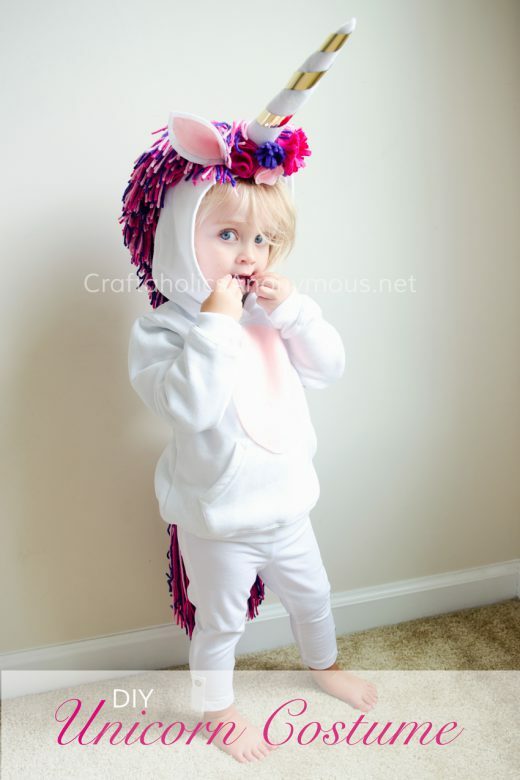 Dressing up as a unicorn is super easy and cute, with minimal supplies needed. Pick a colour for your unicorn: purple, white, blue, black, or whatever your child wants. With matching pants and sweater, in whatever colour you’ve chosen, you can use a hot glue gun to add on the coloured yarn for the unicorn’s mane and tail, and coloured felt for the ears, horn, and tummy. Check out the gluing instructions here. This is a very tenta-cool costume. 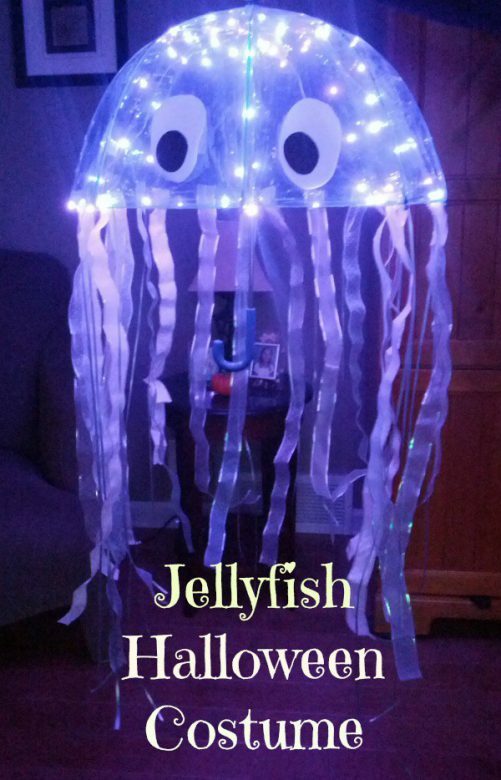 If your little one wants to dress up as something from the deep blue sea, a jellyfish is the way to go. The umbrella is the most essential part; add in some LED lights, assorted ribbons, and felt eyes and voila! You’ve got yourself a jellyfish. To make sure everything sticks, you can reinforce it all with clear packing tape. Image via Almost The Real Thing. 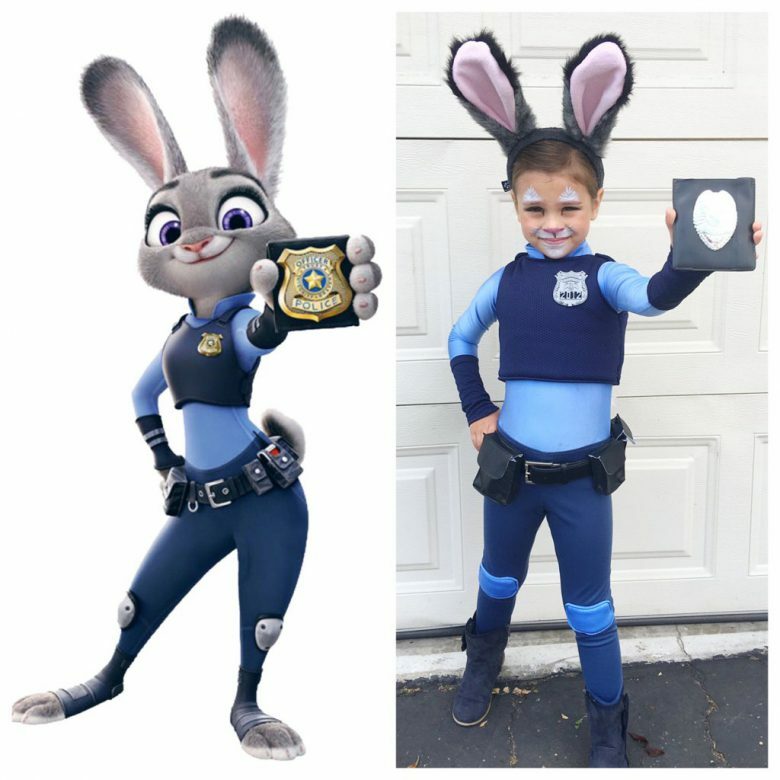 Officer Judy Hopps is on the case! This is an easy costume to put together using clothing your child already has. Pair some blue or black leggings with a light blue long sleeve shirt. If you have a black vest around the house, you can crop it to make it look like a kevlar vest. Print out a Zootopia police badge and mod podge it onto a square piece of painted black cardboard. Follow these instructions for crafting your own bunny ears. Don’t forget to add on the black belt with utility pockets (grandpa might have a few of these lying around). Slide knee pads over the leggings to complete the look. Who wants to play video games? BMO from Adventure Time makes the perfect box costume this year. Using whatever large box you have that will fit around your kid, start by cutting holes for their head and arms. Cover the box with fabric, using a strong adhesive to make it stick. For the shapes like BMO’s buttons and face, use different coloured felt. To make it look 3D, you can add complimentary coloured felt in the background. 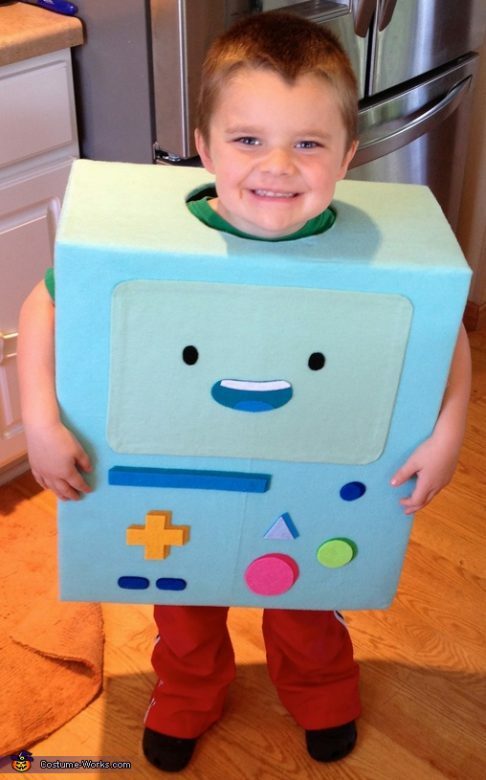 Your little BMO can then wear their regular clothes underneath the costume or wear matching blue coloured pants and shirt to blend in with the outfit. 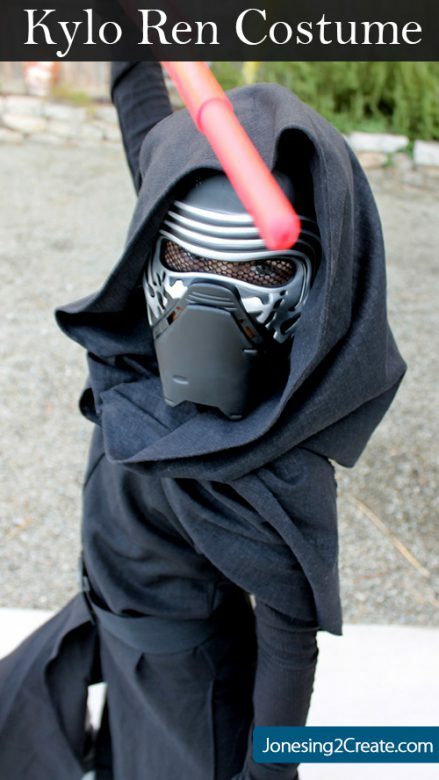 Feel the power of the dark side with a Kylo Ren costume. This Star Wars costume mostly requires black fabric. 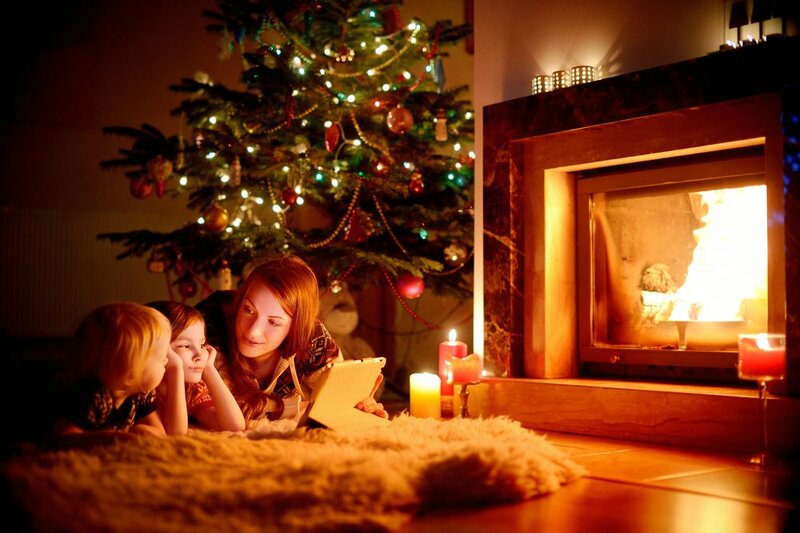 You can make the hood and cloak yourself with a sewing machine and for the underclothes, use any dark coloured pajamas that your child already has. For the mask, you can make it yourself or buy it cheaply on Amazon. And don’t forget the lightsaber! You can cut a red pool noodle to make your own or you can go the Amazon route for this too and order it on the cheap. With Suicide Squad’s recent release in theatres, the Joker has made a comeback. Thankfully, there are many versions of the Joker, so you can go with whichever one your kid prefers (or whichever one is easiest for you to make). The Jared Leto Joker mostly requires face paint and temporary green hair dye. 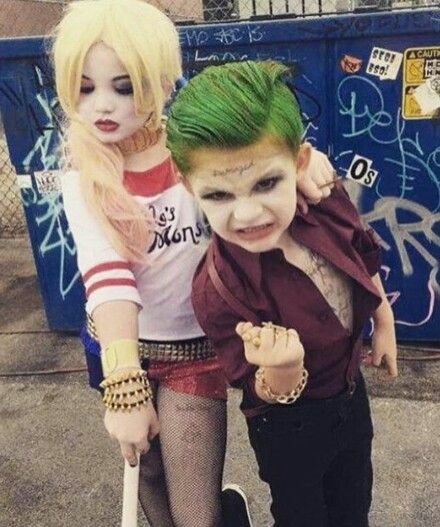 You can paint on the stomach and chest tattoos and dress your little one up in black pants and a dress shirt partially unbuttoned. Adding on some suspenders and gold bling will complete the look.